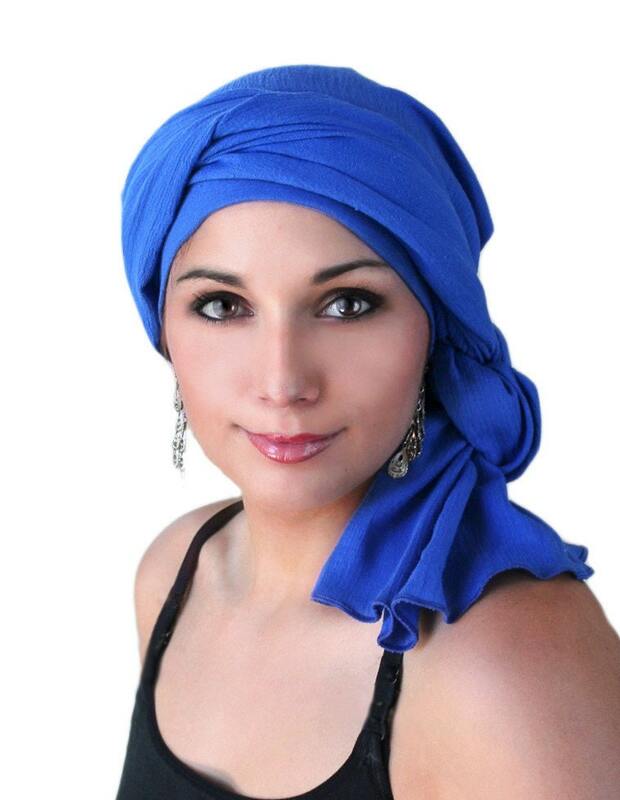 You will LOVE this easy to style turban that stays securely on your head as you create your favorite style. 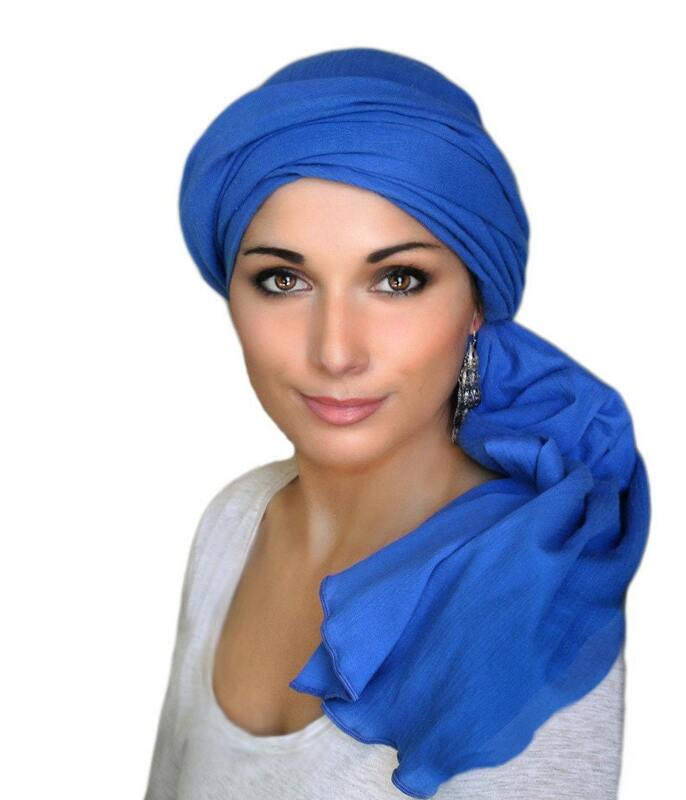 It is soft and comfy for chemo hair loss or alopecia and long enough to cover even long hair, dreads or extensions. This is NOT a scarf, but perfectly fitted with a seam to completely cover your head and give you fullness, comfort, and endless styling options. 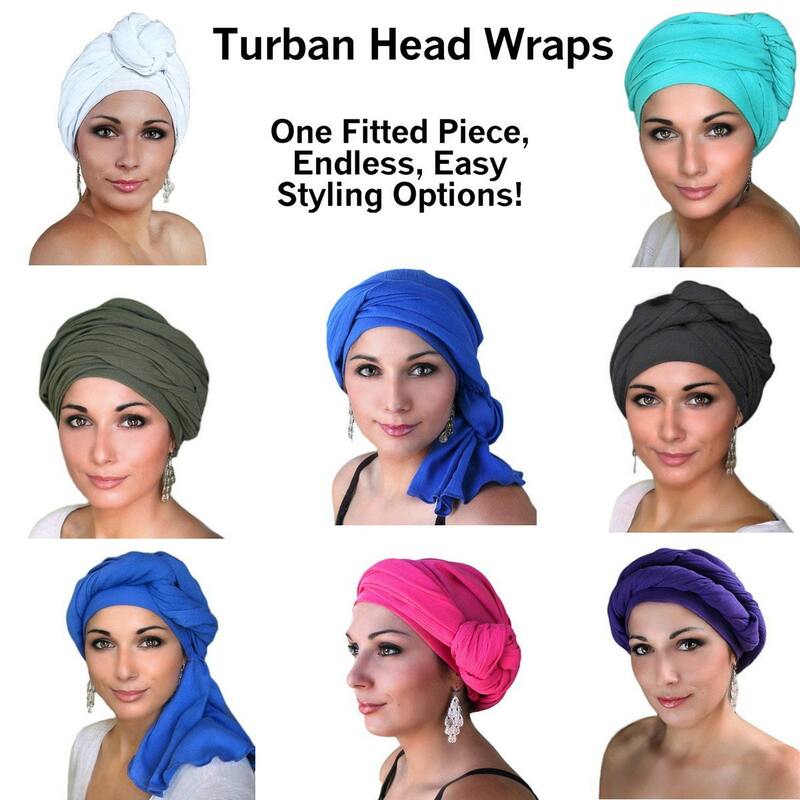 If you ever have been frustrated trying to wrap a scarf, these are the turbans for you. With this wrap there's no "flat head" look, and you’ll never have to worry about it slipping off. Spread or twist the layers for your favorite look or rock an elegant knot! There’s lots of fabric in these super long wraps to wear as high or twist as close as you'd like, while being light enough for all day comfort. You will receive easy instructions for several styles, and this piece is magic - everyone who puts one on connects with their inner Diva to find a new way to style it. The fabric is incredibly soft rayon jersey with a gentle stretch to comfort the most delicate skin. Rayon is a fine fiber that is made from the cellulose of plants. It is highly absorbent and “breathable.” It does not insulate body heat, making it ideal for hot or humid climates, and comfortable with hot flashes. A touch of spandex helps it spring back into shape after wear, extending the life and beauty of the head wear. One size fits most teens and adults and is adjustable for 21-25 inches (measured around the natural hairline). 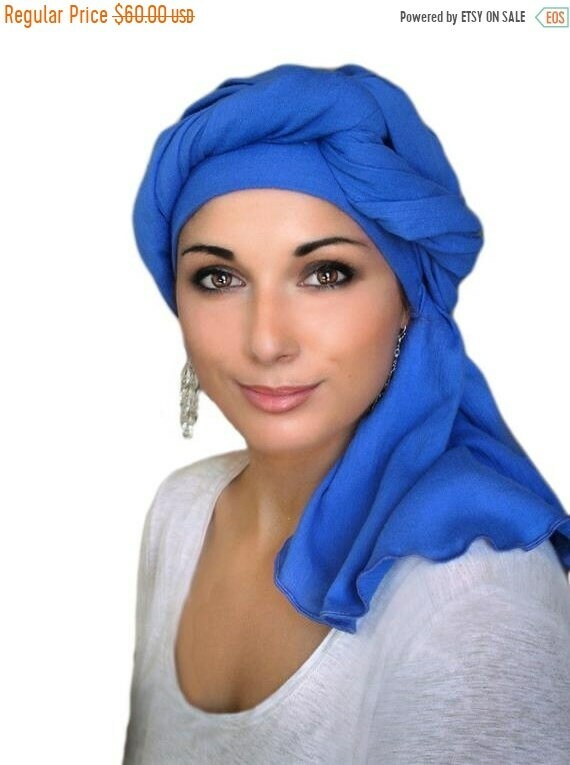 The turban is as pretty as pictured but it is too large for my mother's head even after adjusting the elastic to its shortest setting. I have to pin it smaller and the pin is easy to hide with the turban yardage so it's all good.